Brand new key ready to be cut to your cars lock. Guaranteed to fit all Prowler years. Lost your key? Need a second key? We can send you a cut key for your Prowler. 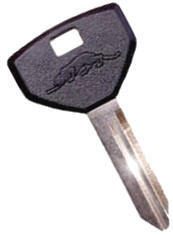 Includes new factory key cut to fit your Prowlers VIN ignition. One (1) factory OEM Key Cut to fit your car ignition. Guaranteed to work. 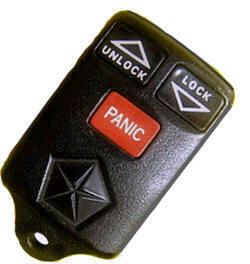 Brand new Prowler Factory Original Keyless Remote. ready to be programmed to your car locks. Guaranteed to work with all Prowler years. Detailed Programming Instructions included. However, we recommend having your have your local dealer program it for you. 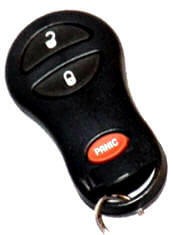 YKR-501-4736-AA Prowler (1997-1999) Original Keyless Remote F.O.B. Brand new Prowler Keyless remote F.O.B. ready to be programmed to your car locks. Detailed Programming Instructions included. However, we recommend having your local dealer program it for you.